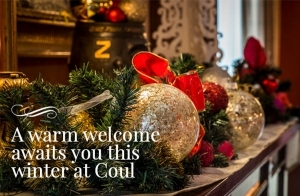 Hogmanay at Coul – limited availability. 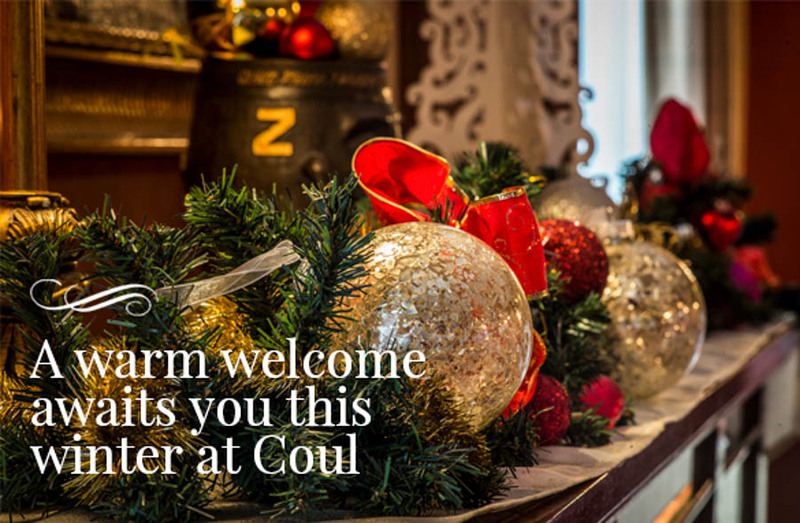 Celebrate hogmanay in true Scottish style at the Coul House Hotel. Log fires, delicious food, a very warm welcome and who knows, maybe even a little snow. Our Hogmanay package includes 3 nights dinner bed and breakfast and a Gourmet Celebration Ceilidh. We currently have only three rooms available so, if you’re interested in a wonderful break, please don’t dilly dally. https://coulhousehotel.com/wp-content/uploads/2018/10/hogmanay_image.jpg 411 900 Fionna https://coulhousehotel.com/wp-content/uploads/2016/03/logo-1.png Fionna2018-10-15 11:46:412018-10-22 16:01:38Coul Hogmanay. Coul Autumn/Winter Breaks. Coul Times for the Highlands.